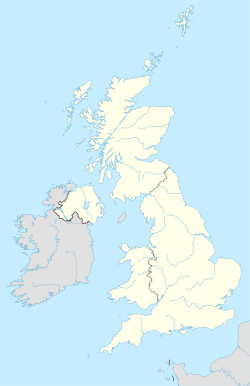 The LD postcode area, also known as the Llandrindod Wells postcode area, is a group of eight postcode districts in Wales. These postcode districts cover much of south Powys, including Llandrindod Wells, Brecon, Builth Wells, Presteigne, Knighton, Rhayader, Llanwrtyd Wells and Llangammarch Wells. The LD7 and LD8 districts extend across the border into England, covering very small parts of Shropshire and Herefordshire. The LD area covers a sparsely populated area and contains fewer postcodes than any other area on the British mainland, except for the KW area in the north-east of Scotland. LD postcode area map, showing postcode districts in red and post towns in grey text, with links to nearby CF, HR, NP, SA and SY postcode areas. ^ "National Statistics Postcode Directory" (PDF). Office for National Statistics Postcode Directory (November 2006). Office for National Statistics. November 2006. Archived from the original (PDF) on 2009-03-27. Retrieved 2009-05-29.